CANTON, OHIO (Feb. 5, 2012) – Join us for the Aultcare Fast Break Breakfast on Friday, Feb. 10, when entrepreneur Ted Swaldo will share the inspiring Gervasi success story, one that celebrates family heritage and provides the perfect place to escape right here at home. What started as the opening of a new bistro has culminated in the creation of a true Italian Village destination in the heart of Stark County. 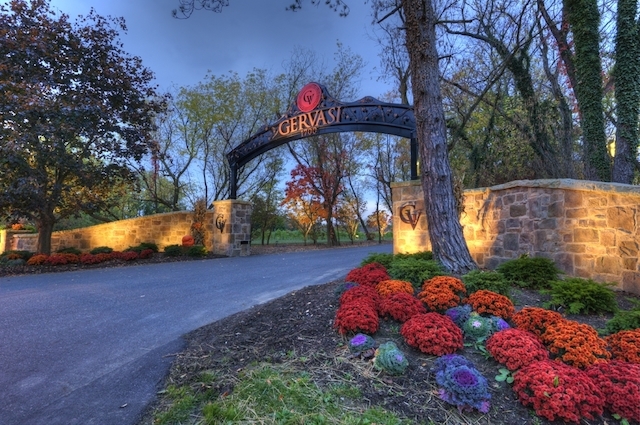 Learn about the vision of Gervasi Vineyards – from delizioso culinary endeavors and fine vintages fresh from the vine, to the eclectic marketplace and exquisite new Italian villas. Registration begins at 7 a.m. with the program and breakfast following at 7:30 a.m. AultCare Fast Break Breakfasts are held at the Courtyard by Marriott, located at 4375 Metro Circle in North Canton. Tickets are $18 for Canton Regional Chamber of Commerce members, $21 for member tickets purchased less than 48 hours in advance and $25 for non-members. Tickets are available online at www.CantonChamber.org, or by calling (330) 458-2070. Beyond this important segment of the program, Fast Break attendees have the opportunity to obtain business leads through enjoyable networking activities at an event that has built a reputation as one of the most energetic lead-producing sessions around. Bring a door prize valued at $15 or more and receive 30 seconds at the microphone to promote your business.